The following commentary by Kishore Jayabalan was published November 2, 2018, by the Acton Institute as the featured article in its Religion & Liberty Transatlantic edition. I generally dislike nostalgia for its sentimentality and diversion from dealing with problems at hand. It is especially a problem for conservatives, often portrayed as reactionary and anti-progress. There are times, however, when remembrance of the past is not only useful but necessary for true human progress to occur. The fortieth anniversary of Pope St. John Paul II’s election is one such instance. Last month I was in the diocese of Tarnów, Poland to speak about his legacy and the future of capitalism. I was rather surprised when my hosts told me that while JPII is still very much revered in his homeland, his teachings are not so well known. Speaking about the late pontiff is something I gladly do out of filial piety as well as professional obligation. To do so in Poland the week before the October 16 anniversary was an honor and privilege. To represent the “JPII generation” while the Synod on Youth was taking place in Rome made it newsworthy in a certain way. I encouraged a re-reading of the 1991 social encyclical Centesimus Annus and the 1995 address to the United Nations General Assembly, both of which hold up very well over time. Centesimus Annus remains the most balanced treatment of the market economy in modern Catholic social teaching, while the UN address is ahead of its time on the rights of nations and the importance of particular identities. The current rise of nationalist populism can be attributed, in large part, to the failure of Western elites to heed the pope’s warnings following the victory of liberal democratic capitalism over communism. The 1990s were the “end of history,” when economics and material well-being reigned over the strife of politics, or so it appeared. Unlike most moralists, John Paul II saw politics and economics from “the inside”, i.e. from the perspective of the human person engaged in certain activities with a social purpose. He, therefore, understood the promises and threats of human liberty and solidarity as parts of an unfolding larger drama involving God and man. Politics now seems to dominate economics, and JPII’s anthropological approach remains superior to the partisan bickering that dominates social commentary today. Another distinctive aspect of JPII’s social teaching is his insistence that the “Church has no models to present” (CA, n. 43); there is no Catholic “third way” between capitalism and socialism. This is a hard teaching for distributists and others who think there once existed a special form of Catholic economy or polity (aka Christendom) that the Church should still officially support. Those who call for “new models” of economic development are likewise utopian in neglecting what we can do to improve our societies here and now. It is natural for us who grew up with John Paul II, Ronald Reagan and Margaret Thatcher to see them as great leaders compared to those we have today. This is the nostalgic temptation. It’s also why many of us Gen-Xers are more sanguine about the state of the Church and the world than are the Millennials formed by 9/11, drawn-out wars in Afghanistan and Iraq, the financial crisis and a papal abdication. Considering the tumultuous 60s and 70s that preceded it, the resurgence of classical-liberalism/conservativism in the 80s now appears to be an anomaly rather than a lasting trend. How can we recover the truths that inspired that generation? At the minimum, we can remember what it was that made Reagan, Thatcher, and JPII the leaders they were (indispensable in this regard is John O’Sullivan’s The President, the Pope and the Prime Minister, which, already in 2006, raised doubts about their legacies). What’s true remains true, though we have to find new ways to express it; simply parroting what they said in the 1980s will not suffice. Considering the great success of the World Youth Days that were formative experiences for my generation, John Paul II was the pope of the young. The recently concluded Synod on Youth spent a lot of time talking about a Church that listens rather than a Church that teaches. John Paul II was able to do both because he spent much of his early priesthood with young people. It is difficult to imagine the average bishop being able to do so today without coming across as inauthentic or pandering. Rather than blindly copying the JPII model, future popes and bishops must use their own particular gifts to bring Jesus to the youth. The message will always be more important than the medium, however. It is impossible to speak about JPII’s legacy without addressing his record on clerical sexual abuse, most especially regarding former Cardinal Theodore McCarrick. To my surprise, no one asked me about this in Poland. I was later told that many Poles think that accusations of sexual abuse are made by those who do not wish the Church well and should not be automatically believed. Similarly, few people in Rome seem to be particularly shocked or upset by the news coming from places as such as the United States, Chile, Honduras, Germany, India, and the Netherlands. I do not know how to explain such divergent reactions. Maybe it indicates something about the “subjectivity of society” that JPII used to write about. The Vatican is certainly a world of its own, so maybe these scandals need to be understood from “the inside” as well. Of course, such equanimity is not satisfactory to Americans who want “heads to roll” now and “zero tolerance” in the future. The former veteran Vatican reporter Kenneth L. Woodward rightly says thoughtful action is more important than expressions of anger, shock, grief, and shame, especially if the Church is going to address the problem of homosexual networks in the clergy. The Catholic right and left should be able to agree that the wise use of papal power, rather than sterile denunciations of “clericalism”, is necessary. It has been nearly twenty years since I moved to Rome to work in John Paul II’s curia. Twenty years of trying to understand why Romans do things the way they do. Twenty years of trying to understand how the Vatican still manages to exist in the 21st century. It is inevitable that Rome and the Vatican influence each other in mysterious ways, which is why supernatural remedies are necessary in carrying forward the Church’s evangelical mission. 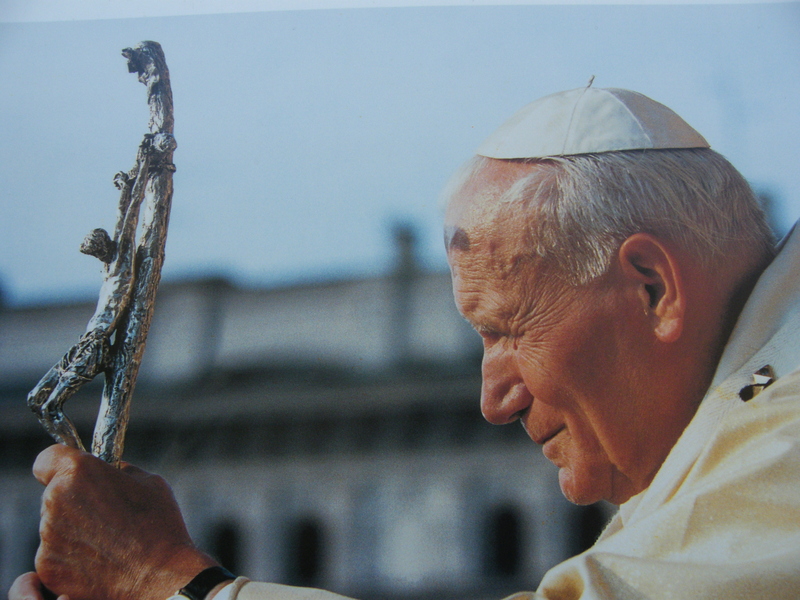 St. John Paul II would be the first to tell us that we must turn to Jesus with Peter and through Mary. Kishore Jayabalan is director of Istituto Acton, the Acton Institute’s Rome office. Formerly, he worked for the Vatican’s Pontifical Council for Justice and Peace as an analyst for environmental and disarmament issues and desk officer for English-speaking countries. Kishore Jayabalan earned a B.A. in political science and economics from the University of Michigan, Ann Arbor. In college, he was executive editor of The Michigan Review and an economic policy intern for the U.S. Chamber of Commerce. He worked as an international economist for the Bureau of Labor Statistics in Washington, D.C.